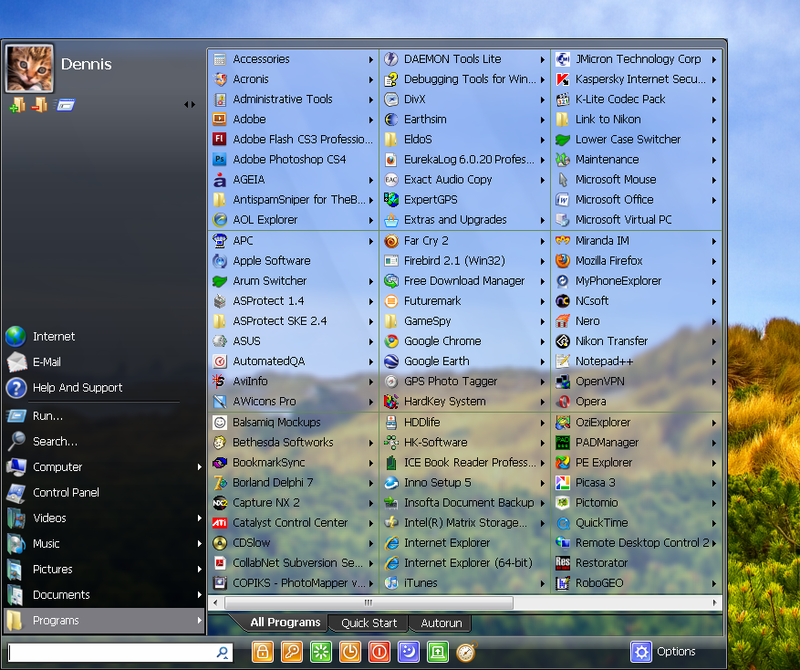 Vista Start Menu is the convenient alternative to the plain Start menu you find in Windows XP and Windows Vista. The program uses your cognitive abilities (visual memory, reflexes,etc. ); however, while it is easily understandable for beginners, it is also highly efficient for experienced users. Go ahead and try replacing your Start menu right now! It is safe because Vista Start Menu does not change your system settings, thus making it easy to install, as well as simple to remove.